India views its nuclear weapons and long-range power projection programs as the key to maintaining strategic stability in the Asia-Pacific region and attaining great-power status. India's strategic missile programs have matured such that New Delhi currently has the capacity to deploy short-medium- and long-range ballistic missiles. Four decades of investments in indigenous missile-related design, development, and manufacturing infrastructure have made the missile sector nearly invulnerable to long-term disruption by the Missile Technology Control Regime (MTCR) (of which India is not a member), and other export controls. India relies on the Agni program for medium and long-range ballistic missile capabilities. While the Ministry of Defense has declared the Agni-I, II, and III operational, Robert Norris and Hans Kristensen point to technical and reliability issues with all three missiles. The 700 km Agni-I was retroactively manufactured to cover the range gap between the short-range Prithvi and the medium-range Agni-II. Both the Agni-I and II can deliver nuclear payloads to targets within 2000 km, encompassing Pakistan and most parts of south and southeastern China. The Defense Research and Development Organization (DRDO) conducted four successful tests of the 3,000 km Agni-III, entering it into service in 2011. India conducted a successful Agni-III missile test in April 2015. The 4,000km two-stage solid-fueled Agni-IV was successfully fired in January 2014 and December 2014, carrying a 1-tonne payload over 3000km. It was deployed by the Indian Army in late 2014. India tested the three stage, solid fueled Agni-V to a range of 5,000 km, 500 km below ICBM range; however, China estimates that the missile's range is 8,000 km. As of July 2014, the Agni-V has been introduced into India's armed forces. In 2012, the DRDO announced that it was researching the possibility of equipping the Agni-V with multiple independently-targeted re-entry vehicles (MIRV). Robert Norris and Hans Kristensen consider it unlikely this option will be implemented primarily because of the high costs involved in research and the possibility of arms race escalation in relation to Pakistan and China. The DRDO announced it has tentative plans to begin test flights of the Agni-VI, possibly equipped with MIRV capabilities, in 2017. Both the Agni and Prithvi missile series are manufactured by Bharat Dynamics Ltd (BDL), a publicly-owned contractor under the purview of the DRDO. The DRDO is developing an Agni-III variant SLBM with a 3,500 km range known as the K-4. Indian media have reported that the DRDO is developing a K-5 SLBM with a range of 5,000 to 6,000 km. Little open source information exists on the status of the K-4 or K-5. Indian missile defense is a double-tiered system, using the Prithvi Air Defence (PAD/Pradyumna) missile for high-altitude (max 80 km) interception, and the Advanced Air Defense (AAD) Missile for lower-altitude (max 30 km) interception. India's ballistic missile defense (BMD) plan is based on two phases of development. 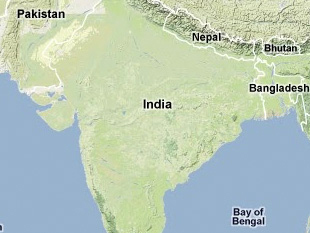 Phase one was operationalized in May 2012, and according to Indian defense officials, has the capability to protect two cities from missiles with ranges of up to 2,000 km. India claims that the BMD system has a 99.8% kill rate; however, this assertion has been challenged by experts both within and outside of India. India is currently developing phase two of the BMD program, charged with defense against 5,000 km-range missiles. Russia continues to play a significant role in India's missile program. Strong defense ties between Moscow and Delhi date back to the Cold War, and have continued despite the collapse of the Soviet Union. Russian expertise and materiel contributes to the BrahMos cruise missile, the Sagarika submarine-launched ballistic missile (SLBM), and India's fledgling missile defense system. India received the French Centaure sounding rocket in May 1964, and began reproducing it with modifications. Indian engineers therefore had 20 years of rocket experience, including satellite launches and recovery, before the country commenced a dedicated missile program in 1985. "Agni-V Gives India Long‐range Missile Strike Capability," The Hindu, 19 April 2012, www.thehindubusinessline.com; "Agni-V India's First ICBM Test-fired Successfully," The Times of India, 19 April 2012, http://articles.timesofindia.indiatimes.com; "Nuclear-Capable Agni-III Ballistic Missile Test-Fired," NDTV, 16 April 2015, www.ndtv.com. "Missile Program Concluded, DRDO Says It's Up to Users Now," Indian Express, 8 January 2008, www.indianexpress.com; "India Scraps Integrated Guided Missile Program," The Hindu, 9 January 2008. "Strategic Weapons Systems: India," Jane's Sentinel Security Assessment - South Asia, 30 April 2012, www.janes.com. Robert Norris and Hans Kristensen, "Indian Nuclear Forces, 2012," Bulletin of Atomic Scientists: Nuclear Notebook, 68(4) 96-101, www.thebulletin.org. "Strategic Weapons Systems," IHS Jane's Sentinel Security Assessment - South Asia, 12 February 2014, www.ihsjanes.com. "Jane's Strategic Weapon Systems: India," Jane's Weapon Inventories, 6 February 2012, www.janes.com. Ajai Shukla, "Military to buy DRDO missiles worth Rs 1 lakh cr in 10 yrs," Business Standard, 4 September 2012. K. Alan Kronstadt and Sonia Pinto, "US-India Security Relationship: Strategic Issues," Congressional Research Service, 12 January 2013, www.fas.org; "India Successfully Tests Nuclear Capable Agni IV Missile, " The Hindu, 3 December 2014, www.thehindu.com. "India Successfully Tests Nuclear Capable Agni IV Missile, " The Hindu, 3 December 2014, www.thehindu.com. T.S. Subramian, "Agni-IV test-flight a 'stupendous success,'" The Hindu, 15 November 2011; "India Test Fires Long Range Strategic Missile Agni-IV," Outlook India, 19 September 2012. Robert Norris and Hans Kristensen, "Indian Nuclear Forces, 2012," Bulletin of Atomic Scientists: Nuclear Notebook, 68(4) 96-101, www.thebulletin.org; "Strategic Weapons Systems," IHS Jane's Sentinel Security Assessment - South Asia, 25 July 2014, www.ihsjanes.com. Saibal Dasgupta, "Agni-V: China says India underplaying Agni, it can hit Europe," The Times of India, 19 April 2012; Agni-V Gives India Long-range Missile Strike Capability," The Hindu, 19 April 2012, www.thehindubusinessline.com; "India Launches New Generation Strategic Missile Agni 5," DRDO Press Release, 19 April 2012, http://drdo.gov.in; "Agni-V Gives India Long-range Missile Strike Capability," The Hindu, 19 April 2012, www.thehindubusinessline.com; "India Test-Fires Agni-V Long-Range Missile," Aerospace Daily & Defense Report, 20 April 2012, www.lexisnexis.com. T. S. Subramanian, "Agni-VI All Set to Take Shape," The Hindu, 4 February 2013; Ajai Shukla, "Advanced Agni-6 missile with multiple warheads likely by 2017," Business Standard, 8 May 2013. "India Ready for New Missile Test," BBC News, 4 September 1998. "Indian to test submarine-launched cruise missile 'next year,'" BBC Monitoring, Text of report by Indian news agency PTI, 12 November 2006; "Sagarika's Significance," The Hindu, 28 February 2008; Sushil Sharma, "K-15 SLBM test on March 16 was unsuccessful," Bharat Defense Kavach, 21 March 2012. Franz-Stefan Gady, "Sea Trails of Indian Navy’s Deadliest Sub Going 'Very Well'," The Diplomat, 5 May 2015, thediplomat.com. "India to achieve N-arm triad in February," Times of India, 2 January 2012; Rajat Padit, "Home-made nuke sub INS Arihant to be inducted in 2 years," Times of India, 3 December 2009. Sandeep Unnithan, "The Secret 'K' Missile Family," India Today, 20 November 2010; Y. Mallikarjun, “Dhanush Missile Successfully Test-fired From Ship,” The Hindu, 9 April 2015, www.thehindu.com. "India: Chronology," Encyclopedia Astronautica, www.astronautix.com; Y. Mallikarjun, "Nuclear-capable Dhanush successfully test-fired," The Hindu, 5 October 2012. T.S. Subramanian "BrahMos test-fired off west coast," The Hindu, 16 April 2005; "India Modifies Brahmos Missile with New Nav System," Ria Novosti, 9 October 2012. "BrahMos Cruise Missile Successfully Test-fired," The Hindu, 4 March 2012, www.thehindubusinessline.com; "India Test-fires Manoeuvrable Version of BrahMos Missile," The Times of India, 9 January 2013, http://articles.timesofindia.indiatimes.com. Asia-Pacific Staff, "India Unveils Ambitious BrahMos Missile Expansion Plan," Aviation Week, 4 March 2013. "Astra Missile Test Fired Successfully from Su-30MKI," New Indian Express (Chennai, India), 20 June 2014; Y. Mallikarjun, “Astra Missile Successfully Test-fired from Sukhoi-30 MKI,” The Hindu, 20 May 2015, www.thehindu.com. Rajit Pandit. "Stage set for test of nuclear capable cruise missile Nirbhay," The Times of India, 15 May 2014, timesofindia.indiatimes.com. "Mission Nirbhay Successful: India Demonstrates Capabilities of Developing Long Range Cruise Missiles," New Indian Express (Chennai, India), 17 October 2014. Hardy James, "India Successfully Tests Nirbhay Cruise Missile," Jane's Defence Weekly, 21 October 2014, www.ihajanes.com. "All Satellites," Indian Space Research Association, isro.org. Pooja Tyagi, "A Look at the Indian Ballistic Missile Defence Programme," India.tv, 23 March 2013. "Experts Question Indian Missile Defense Capabilities," Global Security Newswire, 14 May 2012. Franz-Stefan Gady, “India Cleared Purchase of Russian S-400 Missile Defense System,” The Diplomat, 21 December 2015; “India may purchase Russia’s newest S-400 air defense systems – report,” RT, 20 December 2015. George Perkovich, India's Nuclear Bomb: The Impact on Global Proliferation (Berkley, CA: University of California Press, 1999), p.161; "Antony in Moscow to Cement Indo-Russian Defence Ties," Indian Express, 13 October 2009, www.indianexpress.com. "Second BrahMos Regiment Operational Along Border," Times of India, 5 March 2012, http://timesofindia.indiatimes.com; "BrahMos Cruise Missile Test Fired," Indian Express, 5 March 2012, www.indianexpress.com; "BrahMos Cruise Missile Successfully Test Fired," The Hindu, 4 March 2012, www.thehindubusinessline.com; "BrahMos (PJ-10)," Jane's Strategic Weapon System, 25 April 2012, www.janes.com. "BrahMos (PJ-10)," Jane's Strategic Weapon Systems, 25 April 2012, www.janes.com; "BrahMos cruise missile test fired in new mode successfully," Indian Express, 28 March 2012, www.indianexpress.com. "BrahMos (PJ-10)," Jane's Strategic Weapon Systems, 25 April 2012, www.janes.com; "BrahMos Cruise Missile Test Fired," Indian Express, 5 March 2012, www.indianexpress.com. "Sagarika (K-15)," Jane's Underwater Warfare Systems, 10 October 2011, www.janes.com. Gaurav Kampani, "Stakeholders in the Indian Strategic Missile Program," Nonproliferation Review, Fall/Winter 2003, p. 58. "Potential for cooperation with India to develop BMD: US," The Business Standard, 23 July 2012. Eric Auner, "Indian Missile Defense Program Advances," Arms Control Association, January/February 2013, accessed 15 July 2014. www.armscontrol.org. Gaurav Kampani, "Stakeholders in the Indian Strategic Missile Program," Nonproliferation Review, Fall/Winter 2003, p. 56; "Financing, Development of Projects in India Will Suffer From Sanctions," Global Power Report, 29 May 1998. "Lifting of India sanctions means LCA, AJT projects to get a boost," Aerospace Daily & Defense Daily, 9 October 2001. "Antony Conveys India's Concern over Listing of Defense Firms by US," Hindustan Times, 10 January 2010; "India to Discuss Relaxation in US Export Control Regime on Dual Use Items with Obama," Hindustan Times, 3 November 2010; Eric Auner, "Obama Easing Export Controls on India," Arms Control Association, December 2010. Santanu Choudhury, "U.S. Plans to Sell Missiles to India for Its Submarines," Wall Street Journal, 3 July 2014, www.wsj.com. Eric Auner, "Obama Easing Export Controls on India," Arms Control Association, December 2010. “Nuclear Suppliers Group to Consider India’s Entry in June 2016,” Economic Times, 2 November 2015; "India's Role in the Nuclear Race," New York Times, 5 July 2014, www.nytimes.com. James Hardy, "India, UK agree GBP250 million ASRAAM deal," IHS Jane's Defense Industry, 8 July 2014. Rajit Pandit, "India closes in on $20 billion Rafale deal," The Times of India, 16 July 2014, www.timesofindia.com. Raj Chengappa, Weapons of Peace: The Secret Story of India's Quest to be a Nuclear Power (New Delhi: Harper Collins, 2000), p. 137; George Perkovich, India's Nuclear Bomb: The Impact on Global Proliferation (Berkeley: University of California, 1999), p.28. Raj Chengappa, Weapons of Peace: The Secret Story of India's Quest to be a Nuclear Power (New Delhi: Harper Collins, 2000), p. 137. Gaurav Kampani, "Stakeholders in the Indian Strategic Missile Program," Nonproliferation Review, Fall/Winter 2003, p. 53. Gaurav Kampani, "Stakeholders in the Indian Strategic Missile Program," Nonproliferation Review, Fall/Winter 2003, pp. 53-54. Ajay Lele, "India's French Connection in Space," The Space Review, 18 March 2013. Gaurav Kampani, "Stakeholders in the Indian Strategic Missile Program," Nonproliferation Review, Fall/Winter 2003, pp. 54-55. Gaurav Kampani, "Stakeholders in the Indian Strategic Missile Program," Nonproliferation Review, Fall/Winter 2003, p. 54. Raj Chengappa, Weapons of Peace: The Secret Story of India's Quest to be a Nuclear Power (New Delhi: Harper Collins, 2000), p. 152. Gaurav Kampani, "Stakeholders in the Indian Strategic Missile Program," Nonproliferation Review, Fall/Winter 2003, p. 54; George Perkovich, India's Nuclear Bomb: The Impact on Global Proliferation (Berkeley: University of California, 1999), p. 246; Raj Chengappa, Weapons of Peace: The Secret Story of India's Quest to be a Nuclear Power (New Delhi: Harper Collins, 2000), p. 165. Gaurav Kampani, "Stakeholders in the Indian Strategic Missile Program," Nonproliferation Review, Fall/Winter 2003, pp. 54 -56. Raj Chengappa, Weapons of Peace: The Secret Story of India's Quest to be a Nuclear Power, (New Delhi: Harper Collins, 2000), p. 242. George Perkovich, India's Nuclear Bomb: The Impact on Global Proliferation (Berkeley: University of California, 1999), p. 244; Verghese Koithara, Managing India's Nuclear Forces (Washington, D.C.: Brookings, 2012), p. 99. "Integrated Guided Missile Development Programme (IGMDP)," BrahMos Aerospace, www.BrahMos.com; Verghese Koithara, Managing India's Nuclear Forces (Washington, D.C.: Brookings, 2012), p. 99; Gaurav Kampani, "Stakeholders in the Indian Strategic Missile Program," Nonproliferation Review, Fall/Winter 2003, p. 56; George Perkovich, India's Nuclear Bomb: The Impact on Global Proliferation (Berkeley: University of California, 1999), pp. 246-247. Gaurav Kampani, "Stakeholders in the Indian Strategic Missile Program," Nonproliferation Review, Fall/Winter 2003, pp. 57 -58; George Perkovich, India's Nuclear Bomb: The Impact on Global Proliferation (Berkeley: University of California, 1999), p. 246-247. Gaurav Kampani, "Stakeholders in the Indian Strategic Missile Program," Nonproliferation Review, Fall/Winter 2003, p. 56. "Weapons Inventories - Offensive/Defensive Weapons Tables, India," Jane's Strategic Weapon Systems, 6 February 2012, www.janes.com. Gaurav Kampani, "Stakeholders in the Indian Strategic Missile Program," Nonproliferation Review, Fall/Winter 2003, p. 59. "Agni 1/2/3/4/5," Jane's Strategic Weapon Systems, 25 April 2012, www.janes.com; Gaurav Kampani, "Stakeholders in the Indian Strategic Missile Program," Nonproliferation Review, Fall/Winter 2003, pp. 57-59. Gaurav Kampani, "Stakeholders in the Indian Strategic Missile Program," Nonproliferation Review, Fall/Winter 2003, pp. 57-59. "Prithvi (SS-150/-250/-350) (P-1/P-2/P-3) and Dhanush," Jane's Strategic Weapon Systems, 12 February 2012, www.janes.com; Raj Chengappa, Weapons of Peace: The Secret Story of India's Quest to be a Nuclear Power (New Delhi: Harper Collins, 2000), p. 333. "Agni Likely to Be Made Battle Ready," The Hindu, 5 May 1998; "India Sets 3 Nuclear Blasts, Defying a Worldwide Ban; Tests Bring a Sharp Outcry," New York Times, 12 May 1998. "Underwater Missile Test-Fired," Aviation Week & Space Technology, 3 March 2008; "India Gears Up for K-15 Sub-Launched Missile Test," Aerospace Daily & Defense Report, 1 February 2011. "India Developing Ballistic Missiles to Counter Missile Attacks," Press Trust of India, 9 February 2003, Nationwide International News; in Lexis-Nexis Academic Universe, 9 February 2003, www.lexis-nexis.com; "Plans for Missile Interceptors Unveiled,"Hindu (Chennai), 9 February 2003; in Lexis-Nexis Academic Universe, 8 February 2003, www.lexis-nexis.com; "Lightweight Agni Variant on the Way," Press Trust of India, 8 August 2003, Nationwide International News; in Lexis-Nexis Academic Universe, 8 August 2003; Gaurav Kampani, "Stakeholders in the Indian Strategic Missile Program," Nonproliferation Review, Fall/Winter 2003, pp. 64-65. "Nuclear-Capable Agni-III Ballistic Missile Test-Fired," NDTV, 16 April 2015, www.ndtv.com. "Strategic Weapons Systems," IHS Jane's Sentinel Security Assessment - South Asia, 12 February 2014. "India Test-Fires Agni-V Long-Range Missile," Aerospace Daily & Defense Report, 20 April 2012. Ajai Shukla, "Road Mobility Gives Agni-V Global Reach," Business Standard, 12 October 2009, www.business-standard.com. T. S. Subramanian, "Agni-VI All Set to Take Shape," The Hindu, 4 February 2013. Tamir Eshel, "After 17 years in service, the Prithvi I missile will give way to smaller and better Prahar," Defense Update, 1 July 2013. "India Conducts Successful Flight Trial of Nirbhay Sub-Sonic Cruise Missile," DRDO Press Release, 17 October 2014, www.drdo.gov.in. Anjana Pasricha, "Mars Mission Marks Milestone in India's Space Program," Voice of America, 6 March 2013. "India steps up space program with big budget, bigger satellites and a leap to Mars," TV Novosti, 30 September 2012. Vivek Raghuvanshi, “India, Israel to Build Missile Defense System,” Defense News, 26 February 2015, www.defensenews.com. "India successfully test-fires N-capable Prithvi II missile,” The Indian Express, 26 November 2015, www.indianexpress.com; “India successfully test-fires Agni-I missile,” The Hindu, 27 November 2015, www.thehindu.com; Rajat Pandit, “Ballistic missile Agni-IV test-fired as part of user trial,” The Times of India, 9 November 2015, timesofindia.indiatimes.com; “The Indian armed forces successfully test-fired a new short range, nuclear-capable ballistic missile, Indo-Asian News Service reports, citing the country's military R&D agency DRDO,” Sputnik International, 24 November 2015, www.sputniknews.com; Gulshan Luthra, “Nuclear capable Arihant submarine successfully test-fires unarmed missile,” The Economic Times, 26 November 2015, www.economictimes.indiatimes.com. Kelsey Davenport, “Missile Technology Control Regime at a Glance,” Arms Control Association, updated November 2015. Ian J. Stewart, “Export controls at the crossroads,” Bulletin of Atomic Scientists, 15 October 2015.